Matt Porter Web Design has been offering Tradesman Website for several years. These are sites aimed at small businesses who are looking for a professionally designed content managed website on a budget. Our Tradesman websites are ideal for Painters and Decorators, Builders, Plumbers, Electricians or any other small business. Tradesman sites are typically 5 pages, "Home", "Products", "Services", "Contact Page" and "News". The news page is normally linked to your Facebook and Twitter accounts using "Social Media Pack" technology. 50% deposit is required at outset, remaining 50% on completion prior to going live. Use your favourite hosting company or make us your new favourite for an additional payment of £15 per month. 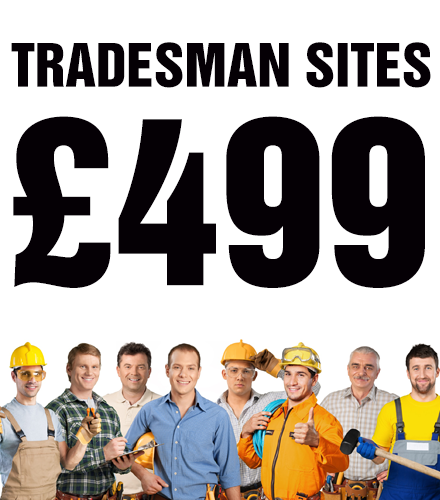 Call NOW on 01473 272002 to secure your Tradesman website.